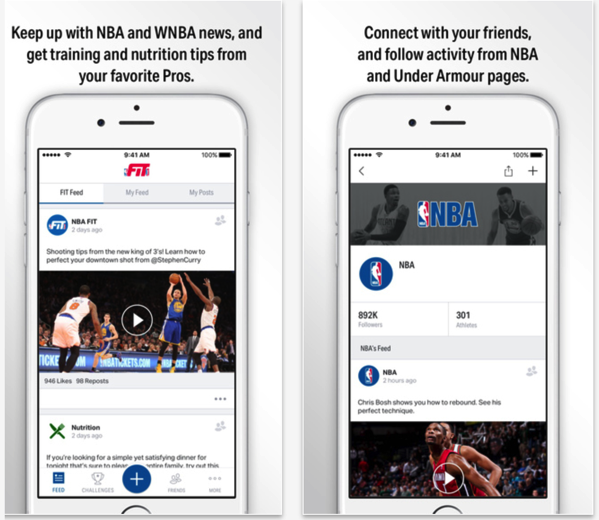 The National Basketball Association (NBA) now has it’s own exercise and training app called NBA Fit, thanks to a hand from Under Armour. The pro basketball league’s new app is a social fitness experience designed to teach, motivate, and challenge basketball fans everywhere. According to the NBA, the app combines Under Armour’s Connected Fitness platform with fitness tips and videos from players in the league and the WNBA (via Engadget). Users can get advice focused on training and nutrition, as well as complete challenges to compete against their friends. It must be noted that the NBA’s partnership with UA is an interesting move, since Adidas is its current uniform and apparel provider for the league, while Nike is set to take over in 2017.